In a small slow cooker, combine oats, salt, water, and coconut milk. Cover with lid and cook on low for 7 – 8 hours. 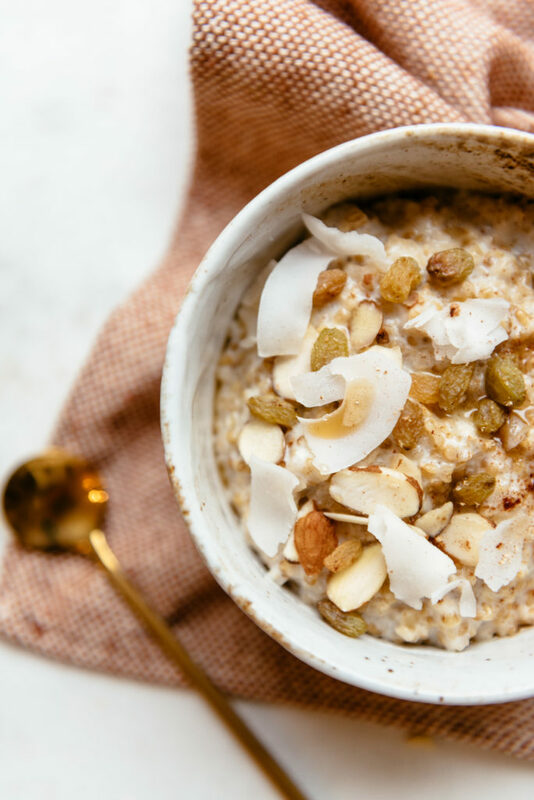 Once the oats are fully cooked, stir in maple syrup, vanilla extract, cinnamon and nutmeg and top with your favorite oatmeal accoutrements!